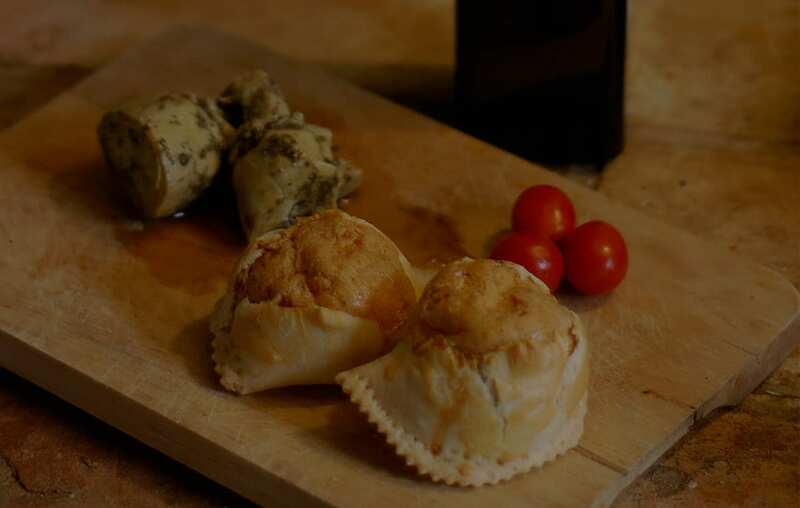 How I love Abruzzo’s delicious Fiadoni, these delicious small baked cheesy pastries are so easy to eat on the road, the ultimate in design for gastro picnic fodder. Happily these traditional Abruzzo Easter gems are no longer reserved for Pasqua and you can buy them all year across Abruzzo, we even found them in a butcher’s shop up in Castel del Monte once when we were going walking in Campo Imperatore, arh sweet delights! Shepherds must have loved these when they set back off on the transumanza after the Easter celebrations with a few packed into their rucksacks as a tasty reminder of home that they could munch on as they walked. There are some villages across Abruzzo’s regions that add a little bacon, others that use ricotta, even a sprinkle of local saffron, I have a preference for the salty cheesy tang that pecorino brings. Whichever your favourite or local variant it is the nearest that Abruzzo gets to the torta rustica that is so popular at this time of the year. When asking my neighbours about recipes for them they all seemed to agree that they should be a combination of young and mature pecorino cheeses, not just for taste but for consistency; there is nothing worse than cheese that is on the dry side wedged into pastry no matter how good its taste. One suggestion that particularly appealed to me was from one Signora was to use 3 types of cheese that included Caciotta al peperoncino, a soft young cows’ cheese with chili for a little bit of a kick. Sift the flour and the pinch of baking powder into a food blender. Mix in the beaten egg and oil and wine until uniform. Remove from the food blender and knead for between 5-10 minutes until smooth. Wrap the dough in clingfilm so it doesn’t dry out whilst you leave it to stand. Blend together the grated cheeses, nutmeg and black pepper and leave to stand. Roll out your pastry dough and put strips through your pasta machine until you reach the penultimate notch in the same way that you would make ravioli. Place small heaps of stuffing onto a strip and cover with another of your rolled strips that you’ve put through your pasta machine. Cut your little fiadoni with a glass beaker or ravioli cutter and shape into a crescent. On each fiadone cut a small cross which will allow the pastry to breathe and the steam to escape as well as a little of the filling to crust up out the top. Brush each with beaten egg using a pastry brush. Place on a greased baking tray and bake for 15 minutes or until they turn a golden brown. If you don’t have time for the above and would rather just make a pie, use a 30mm/12” pie tin that you have greased and floured and line with your bottom layer of rolled pastry. Add the cheese filling and then give it a top pinching the sides together to seal and create decoration. Slit the middle with 2 small slits to let steam escape and brush with beaten egg. Bake for approximately 40 minutes at 160C. trying these for the second time but using cheddar as its veggie and my daughter is very strick. If you like you could add one finely grated squeezed raw potatoe to filling.firms it up too.Not Abruzzese! Let me know how they went Marla and what cheeses you used, would love to hear your Chef interpretation on the recipe! These sound really fabulous and I look forward to trying them very soon!